Images of the SFM-CAM2 alone, docked to a GY-HM890 and in a group with the Command Center. 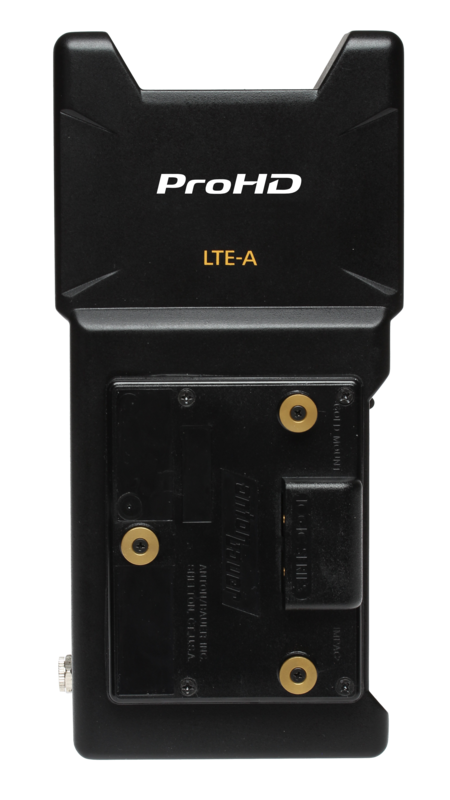 WAYNE, NJ (Oct. 17, 2017) – JVC Professional Video, a division of JVCKENWOOD USA Corporation, will introduce the SFM-CAM2 ProHD Dockable Bridge, a wireless bonded IP uplink that connects directly to its 800 Series cameras, at NAB Show New York (Booth N433), which runs Oct. 18-19 at the Javits Convention Center in New York City. The latest member of the ProHD Bridge product family, the Dockable Bridge supports HD streaming from multiple IP-enabled JVC cameras to HD-SDI decoders or servers at a central location, as well as CDNs like JVCVIDEOCLOUD and Facebook Live. Using Peplink’s patented SpeedFusion™ VPN Bonding technology, the Dockable Bridge combines multiple cellular, wired, and Wi-Fi connections to create a robust LTE-Advanced connection. Its Wi-Fi First feature bonds to local or public hotspots when available, which reduces cellular data charges. Ideal for live ENG reports or webcasts, the self-contained Dockable Bridge plugs into the camera’s USB port, and is positioned between the battery and GY HM850/890 camera body. It can also be detached and used with other IP-enabled ProHD, 4KCAM, and JVC PTZ camera models. Plus, the Dockable Bridge functions as a secure, battery-operated hotspot for computers, tablets, smartphones, and other devices. Available in versions for Anton/Bauer or V mount batteries, the Dockable Bridge includes internal MIMO high efficiency antennas, two RJ-45 connectors for wired LAN connections, and a built-in GPS receiver that provides the unit’s location to a central server. Dual cellular modems with redundant SIM slots are included, and the unit will aggregate up to four different network links (Cell x2, plus Wi-Fi or Ethernet). The Dockable Bridge accepts SIMs from Verizon, T-Mobile, AT&T, and Sprint, and supports global LTE coverage for worldwide operation. Economical cellular data packages are also available from JVC. 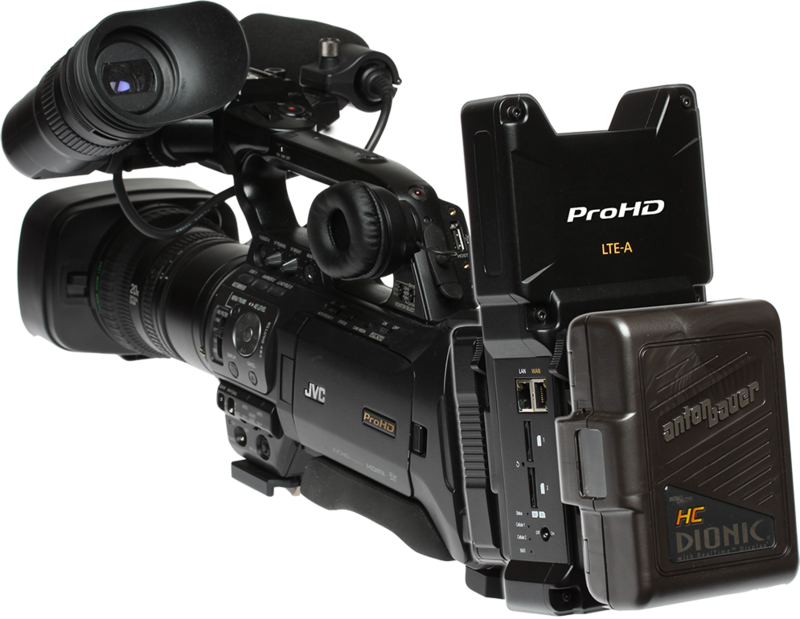 JVC will demonstrate its complete family of ProHD Bridge products, including the car-mounted Wireless Bridge and the handheld Portable Bridge, during NAB Show New York. The Dockable Bridge has an MSRP of $2,995 and will be available in January 2018.